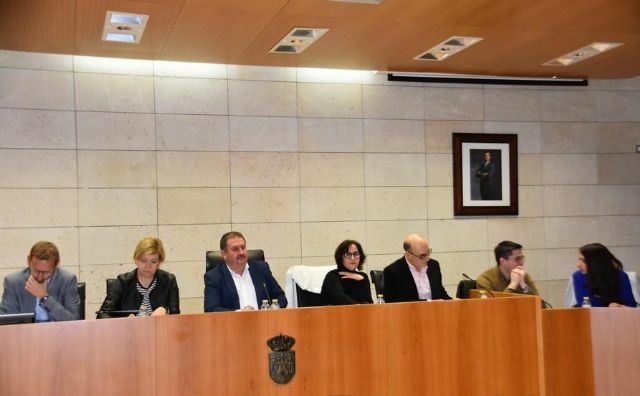 The Plenary of the City of Totana agreed last night, unanimously, the joint motion of the councils of Environment, Civil Protection and Citizen Security to request the Ministry of Environment support in the location, signaling and sealing of open wells or Cisterns in different places of this municipality, and more specifically in the regional park of Sierra Espuña. In the areas of the municipal area not competing with the Autonomous Community, the City Council, through Civil Protection and the corresponding municipal services, will locate wells, cisterns or similar elements that may offer danger, adopting the necessary measures for the signaling and sealing of the same with total security guarantee. The task of locating and sealing the open wells in the different parts of the municipality is an urgent need, since they are located at ground level, which presents a high risk of falling, according to the plenary agreement. 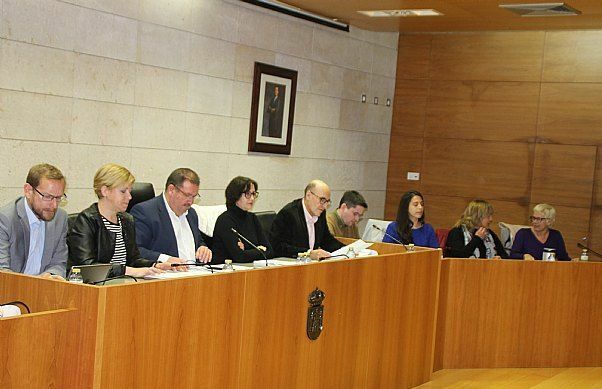 The corporative ones approved, with the votes of all the municipal groups except the abstention of the non-attached mayor, the motion of the PP to urge the regional government so that, in collaboration with the Federation of Municipalities of the Region of Murcia and sectors involved, study and take into consideration to establish a protocol that regulates the obligation to close public parks or suspend school and extra school activities as well as adventure, according to certain scales and criteria depending on the weather forecast. A green light was also given, unanimously, to the motion of the Popular Group for the City Council to contact the Federation of Municipalities and involved municipalities, in order to gather all the information that allows the development of a municipal ordinance for the facilities. of public energy transport as soon as possible and that this rate is applied as it is done in other municipalities. The last motion of the Popular Group, which was approved with the support of all the municipal groups and the abstention of the non-attached mayor, was the urgent approval of the General Municipal Plan of Ordination (PGMO), with the deficiencies corrected in the report of June 4, 2018 of the General Directorate of Planning, Architecture and Housing of the Autonomous Community. The Plenary approved the motion of the Socialist Group, with the votes in favor of all the corporations and the abstention of the non-attached mayor, to reinforce and continue to value the measures contained in the State Pact on Gender Violence with the objective of to combat male chauvinist terrorism, the most serious problem currently facing Spanish and Murcian society, which has its breeding ground in a profoundly anti-democratic culture and education and which starts from the idea of â€‹â€‹the superiority of man over woman. The PSOE motion also includes manifesting the institutional rejection of all manifestations of such violence, its commitment to the victims and declaring zero tolerance with the abusers, as well as expressing the rejection of any political position that advocates the elimination or reduction of the measures of protection of women against sexist violence, as well as the social drama and the consequences it has for the victims. In addition, it is included in the motion to reject the adoption of any type of agreement, explicit or implicit, with training that proposes the suppression or reduction of protection measures for women, thus giving coverage to irresponsible policies that entail a very high risk of aggravating the problem. Also, within the framework of the reinforcement of initiatives to combat this scourge, the City Council is committed to promoting the application of the Law of Measures of Comprehensive Protection against Gender Violence and Law 7/2007, of April 4, for the Equality between Women and Men, and Protection against Gender Violence in the Region of Murcia (modified by Law 11/2016, of June 15), in coordination with all public authorities. 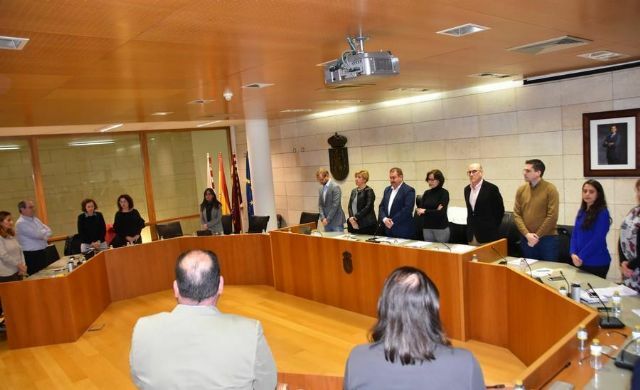 At the beginning of the plenary session, and before the inauguration of the new councilor of the Popular Group, Eulalia Hernández López, a solemn minute of silence was kept in memory of the Favorite Son of the City of Totana, the historian and researcher Ginés Rosa López, who died on January 18.